On October 10th, we published a blog post announcing 1,000,000 assessments scored in MasteryConnect. Well, here we are a month and a week later and there are now over 2,000,000 assessments that have been scored through MasteryConnect. While these numbers show the incredible growth of MasteryConnect, what gets us most excited is what these scores represent – assessment for learning. Many educators liken a school’s relationship between teachers, students, and parents to a three-legged stool. If any single leg is removed, the stool collapses. Likewise, schools need the support and dedicated work of teachers, students, and parents. MasteryConnect recognizes this dynamic and strives to ensure that parents have real-time information about what their students need to know, whether the students know it, and what to do if they don’t. Last Thursday, as I made the 70-minute drive from Louisville to Letichfield, Kentucky, I thought about the three-legged stool metaphor. Gwen Lucas, the principal at H.W. 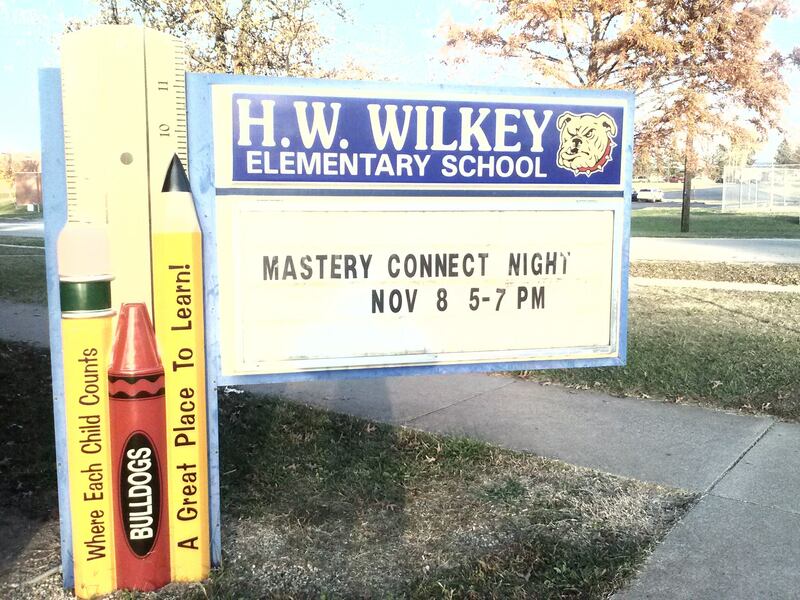 Wilkey Elementary, had invited me to present “An Evening With MasteryConnect.” Wilkey Elementary has been using MasteryConnect since last year, and Gwen wanted parents to see how they can engage in their children’s learning through our software. As I presented MasteryConnect, we discussed the Common Core app and how adopting the Common Core ensures that kids in small-town Leitchfield are held accountable to the same standards as children going to school in the shadows of Harvard or Stanford. Parents looked at student reports and wanted to know more about all of the resources available to them through MasteryConnect – like the ability to watch videos, view assessments, and access teacher-created resources. It was inspiring to see so many parents, even after they’d put in long days at their respective jobs, gathered at the cafeteria tables in order to further empower themselves and their students. The three legs of the stool – three pillars, really – are standing strong at H.W. Wilkey Elementary. Most Requested Feature – Curriculum Maps – Now Live! We’re excited about the release of the new curriculum maps feature in MasteryConnect! This feature addresses user feedback, makes organizing your school year easier, and allows the members of a team to build trackers off the same curriculum map! The curriculum maps feature allows you to customize a base set of standards and add sub-standards, other grade-level standards, and custom standards.